My goal for creating this blog is to write on any subject matter that is capable of putting money in the pockets of the readers. Today I'm going to reveal an opportunity that has the potential of making you a millionaire before this month runs out. There's nothing magical about what I'm going to reveal here and it's not new to many people, especially those that have a good knowledge of cryptocurrency. But to most people in my part of the world, this knowledge is still obscure to a lot of people. Update: If you miss the airdrop, there is now an opportunity to earn more $$$ in the Bounty Campaign. Click this Bounty Link Now. Good news: The airdrop was actually merged with the bounty program, meaning if you cannot participate in the bounty, you can still stay connected with their social media platforms and get your $87.5. All that you need to do is to like their social media pages, and you'd be given $87.5 and if you invite others to do the same, you'd be given additional $87.5, so join now, refer as many people as possible. Register here. So, what's that thing that has such a huge potential for making me a millionaire before the month runs out, you may ask. Well, to answer that question; what I'm talking about is nothing other than Cryptocurrency Airdrop. This is not just anyhow airdrop, but a unique one that has the potential of making as many that participate in it millionaire by the time the tokens are distributed. For those who are totally ignorant of airdrop let me do a general overview of what airdrop is all about before I go into the details of the one that has this huge potential. Airdrop in cryptocurrency terminology simply means the free distribution of small amounts of virtual currency tokens to its community members or holders of the virtual currency either for free or as a reward for performing simple tasks, tasks as simple as liking a Facebook page or joining a Telegram group. To elaborate further, it is a procedure through which a blockchain project distributes free tokens to community members. In order to qualify for such gift, a member of the blockchain community may need to hold a minimum quantity of the cryptocoins in his/her wallet, or may need to perform certain tasks that include but not limited to posting on social media forums, liking or following a social media page or group, connecting with a particular member of the blockchain project, or writing a blog post. The essence of doing this is to promote the new virtual currency. In other words, airdrop is viewed as a promotional activity mostly performed by blockchain-based startups to bootstrap their virtual currency projects. Its aim is to spread awareness about the cryptocurrency project and to get the maximum people in the game as much as possible. For instance, Local Remit which is the focus of this article is currently airdropping 350 LRT tokens to each participant of the airdrop campaign which started 14th September and will end 28th September. Before I give the analysis of the speculated amount of money as stated in the title of this article, let's learn a little about Local Remit, the focus of this article. Local Remit is a Decentralized Peer to Peer Crypto Marketplace. It is a peer to peer cryptocurrency marketplace where you can buy Cryptocurrency from directly sellers without the need of an intermediary (exchange or bank). They have a token known as Local Remit Token (LRT). LRT is the native utility token that will be used in the exchange to cover transaction fees. During the genesis of Cryptocurrency right after Satoshi had created bitcoin, the only way you could get bitcoin was if you mined it, through faucets claims (which require you to visit hundreds or even thousands of faucets), get it from someone for free, donations, and peer to peer trade/transaction. Later along the line, came the Exchanges like mt. Gox. Since then the Peer to Peer marketplace has been lagging behind until the emergence of single coin marketplaces like localbitcoins and localethereum. The success of the named P2P exchanges despite very little publicity has paved way for Local Remit Marketplace to thrive! Their P2P Marketplace has 5 of the major Coins and they will be adding more as time goes. Now that we've learned about Local Remit, let's now talk about their airdrop (which is what will give us the money stated above if we do the needful). The Local Remit Airdrop, How Can We Benefit? As already stated, during an airdrop campaign, a crypto project distributes free tokens to as many people that will participate in the campaign. The Local Remit Airdrop started on 14th September and will end on 28th September. Each participant in the campaign is given 350 LRT. Each Local Remit Token is equivalent to $0.25, meaning this 350 LRT is equivalent to $87.5. LRT Tokens earned during the airdrop campaign will be distributed 2 weeks after Main Token sale (which will start 1st November) to ensure those who participate in Presale and ICO get to be the first to trade when we get listed. Once you complete all the tasks listed above, you'll be given 350 LRT ($87.5). You agree with me that these are very simple tasks that anybody can perform. They take like 30 seconds to complete and help Local Remit grow. 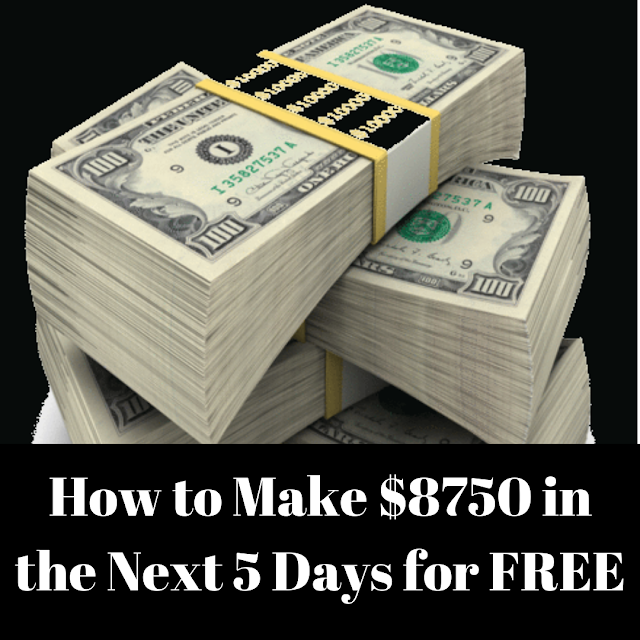 I know you're anxious about learning how to make $8750 from this opportunity in the next 5 days, so let's go into that details right away. The Local Remit Airdrop campaign is open to anybody that is willing to participate. This means once you signed up and perform your tasks, you can refer as many friends, acquaintance, or family members as many as you can. For each person you refer, you are given another 350 LRT ($87.5). 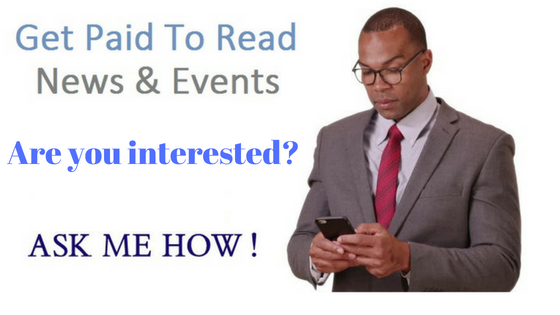 Referring people to join you in this kind of project is very easy since participation is free. They have nothing to lose by participating. So, if you put in enough effort, you can get 100 persons to sign up for the airdrop campaign using your link in the next 5 days. 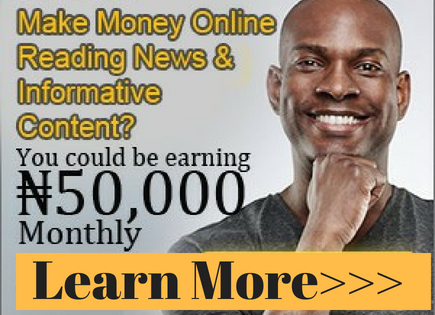 That's how you can make $8750 (NGN3,150,000) in the next five days. Note: You must have a smartphone or laptop to be able to participate in this. That's because you have to have a telegram account to be able to participate. Why not give it a shot. It's totally free. You or your referrals have nothing to lose, but to gain. You're welcome on board bro. Like you said, put in all your best, this is a great project capable of making one rich. I wish you all the best.